For Stags in Ireland Carlingford is increasingly becoming the location of choice. Situated in a very beautiful and accessible corner of Ireland its compact size and welcoming nature lend itself to all sorts of visitors but especially Stags and Hens. They come for the craic, they come for the activities and naturally they come for the nightlife. Stags in Carlingford are spoilt for choice when it comes to all three! 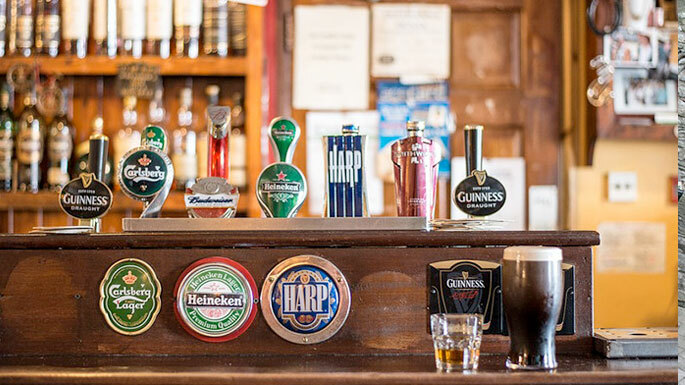 Carlingford is well known for its great pubs and because of the compact nature of the town they are all within 30 seconds walk of each other… ideal for a pub crawl! But Carlingford and Carlingford Stags are about more than pubs, with a beautiful location and the number one activity centre in Ireland on its doorstep. Stags can take part in numerous activities such as Lazer Combat, Ziptioia, water sports and Skypark, all of which are ideal to work up a thirst for later or recover from the night before. We have a few great accommodation options for Stags in Carlingford. Our 4* Holiday Homes are just 5 minutes walk from the centre of Carlingford and can sleep up to 11 people. As a more basic alternative we have private Dorm style rooms right on the main street in Carlingford. Clean, comfortable, central and just €35 per person per night! Whatever you are planning for your stag weekend just contact us and we will help to make your stag do unforgettable. If you would like to enquire or would like any information about the above feel free to get in touch.